With 360 servings of freeze dried meats, and an extra 120 servings of rice will allow for hundreds of full meals for you or your entire family. This is enough food to get you through almost any disaster situation. With great tasting meals that have all the nutrition you’ll need to stay strong and healthy, these 360 servings of freeze dried meats and 120 servings of rice are the perfect addition to any food stockpile. It is even enough to get your stockpile in place right away, if you don’t already have anything. This excellent package from Wise Foods includes multiple different types of freeze dried meat for you to enjoy in any situation. No matter what type of emergency situation you’re facing, you can be confident that you and your family will be able to have something to eat. In many cases, simply having a good meal is enough to keep your spirits up, and allow you to focus on getting your long term survival shelter and food supplies in place. It is also perfect for short term emergencies, allowing you to stay in the safety of your home without having to worry about how you will eat. Each of the freeze dried meat, and the rice can be quickly cooked and consumed without any difficulty, and in almost any situation. 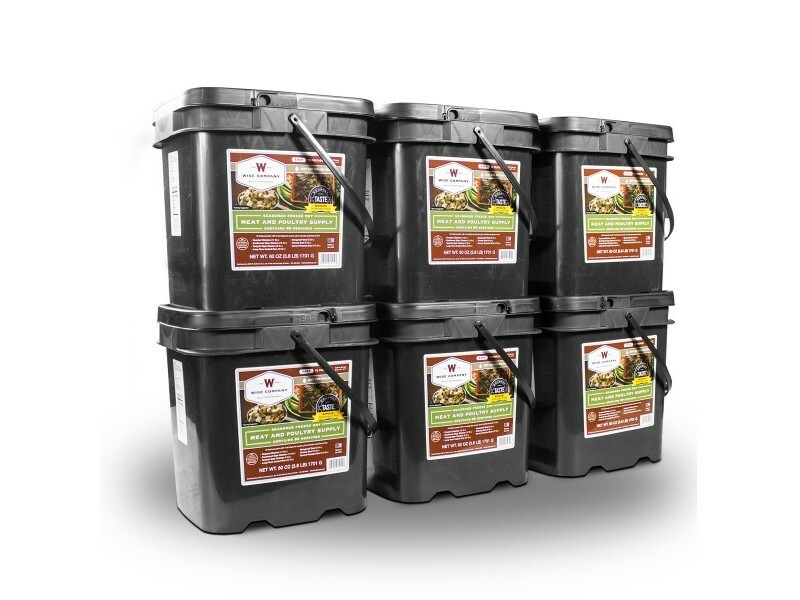 This easy and affordable freeze dried meat package from Wise Foods will help anyone prepare for any situation. 360 servings of assorted seasoned freeze dried meat with 120 serving of long term rice extra for a total of 480 servings.